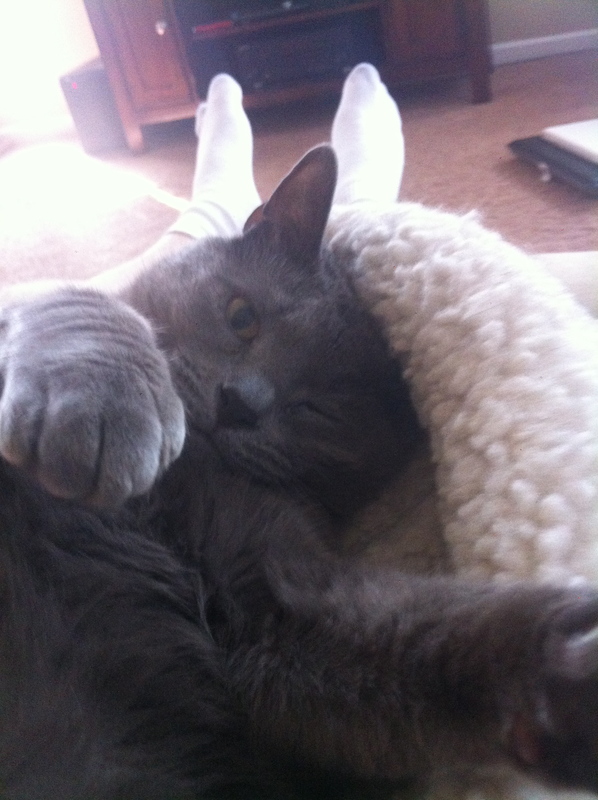 I am writing to recommend the services of Simon as a pet sitter. Simon is an attentive and intuitive caregiver. I am always impressed with the care and respect with which Simon treats my cats, as if they were members of his own family. When I go out of town, I rest easy knowing that he is tending to their needs. While some pet sitters would be content to merely feed and clean up after them, I know Simon takes pleasure in playing with them and giving them affection. I’m something of a Type-A cat owner, who leaves a fairly long list of instructions especially when I’ll be gone for a longer period of time. My pets are always well-taken care of when I come home, and my list of instructions followed to a T. Simon has also worked and volunteered at several animal shelters over the years, and in those settings has become familiar with medical issues and with taking care of animals with any number of special needs. Having gotten to know Simon over the last year, I know that his own pets are one of his greatest joys. Anyone who leaves their pets in Simon’s care can rest assured that they will be treated as if they were family, too. I cannot recommend Simon highly enough as a pet sitter, and am happy to discuss his qualifications by phone or email. As a parent of 7 cats it is difficult for me to travel out of town without worrying about leaving my furry babies in the care of another person. There are many nice people who would do a fine job putting out new food and water, but it takes a special person who has a genuine love and understanding of cats to really care for them. Simon is such a person. It took very little time for my shy cats to feel comfortable having him around and to enjoy being with him. He took the time to learn about each of their unique personalities and quirks. He understood that sometimes cats want to play and sometimes they want to run and hide in the corner but in both cases it helps them feel safe and secure knowing there is a calm, cat-loving person present who will be coming to check on them while their parents are away. I always felt so much better knowing that he would be spending time with them. And he didn’t mind me being paranoid and calling for updates on how they were doing! Simon is a wonderful cat care-giver and me and my kitties give him our highest rating (4 paws!) and highly recommend him to you and your feline family. Simon has cared for my two cats a number of times, and I’m always extremely happy with his service. More importantly, my cats are always tremendously pleased! They’re thoroughly played with and cuddled and watered and fed. Simon is also wonderful at dealing with the housekeeping details: watering plants and bringing in the mail. And he’s always willing to pick up necessities, like milk and eggs for our return. The only downside to having Simon cat-sit is that my cats don’t miss me nearly enough!!! I wish you all success in your new venture. The cats and their families are so lucky to have you. -Sandi W.
To anyone wondering about Simon’s cat sitting chops, I can vouch for him. -Scott G.
You are the best!! I can’t imagine anyone who would give more love and attention to a cat who is missing their owner. -Nancy B. If you would like to contact these clients or receive other personal references, I’m happy to provide you with that information.